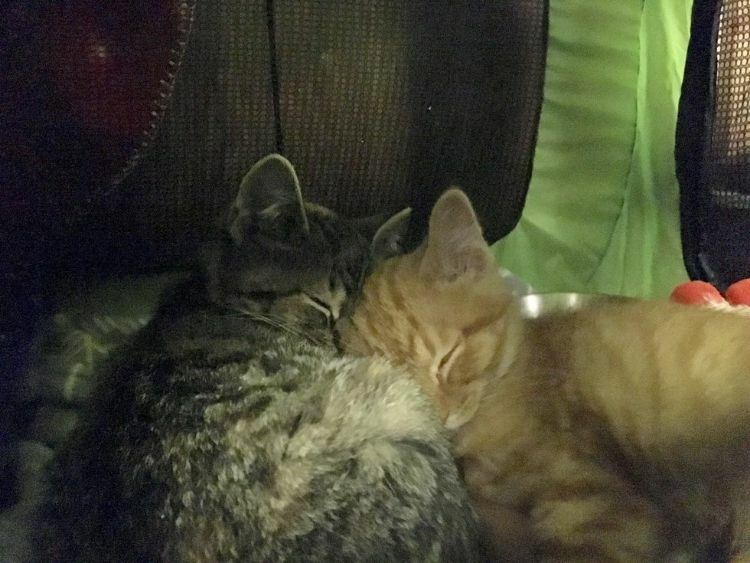 Like most abandoned kittens, little orange tiger Ares and his gray tiger sister Aphrodite had a rough start. 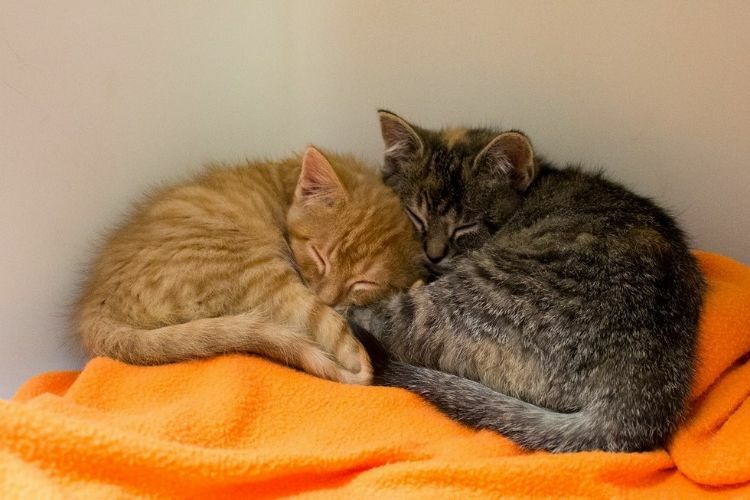 They were brought to Wisconsin Humane Society Door County Campus right before New Year's Day 2018. 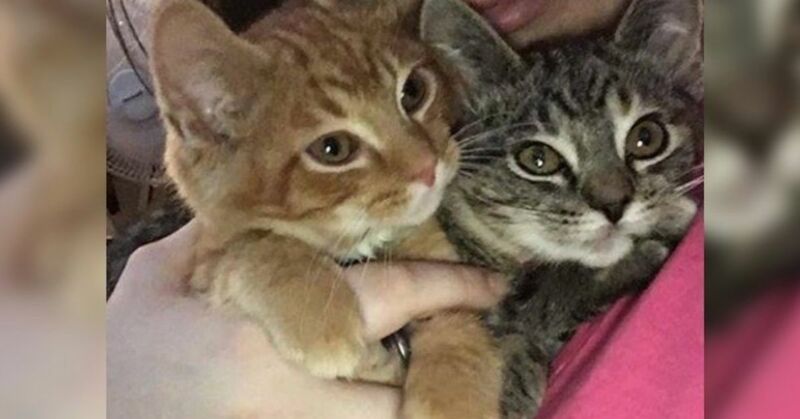 Winter in the North Country is very rough for kittens, so they were lucky to have been found. A woman named Alana Hadley visited the shelter in mid-January and immediately fell in love with Ares. She and her family were interested in Aphrodite, too, but young kittens are popular in shelters and there was already a pending adoption for her. So, rather reluctantly, Alana took Ares home alone. Poor Ares was bereft without his beloved sister. He seemed confused and restless, searching for her. 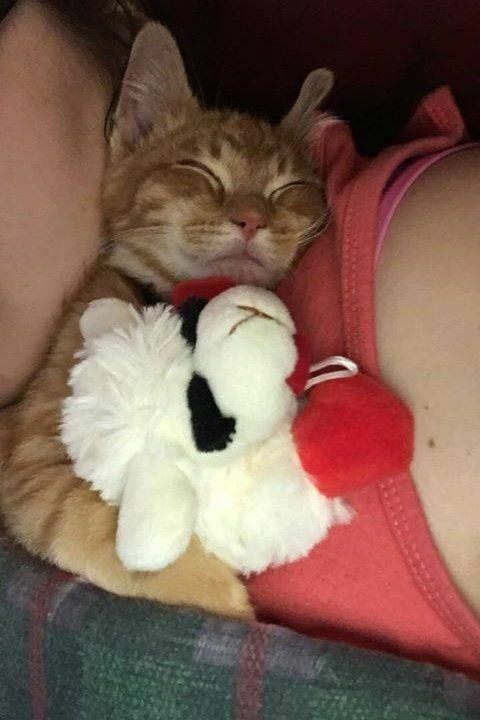 Though he eventually fell asleep that first night in Alana's arms, he meowed every time he was awake. The family gave him some stuffed animals to help him. They were convinced that Ares missed his sister. If only they could be together. The next day, though, there was good news. Aphrodite's adoption had fallen through! The solution was at hand. Alana wasted no time going back to the shelter with Ares to pick her up. Reunited, the two siblings immediately began to play with each other. Now, a month later, the two remain inseparable. 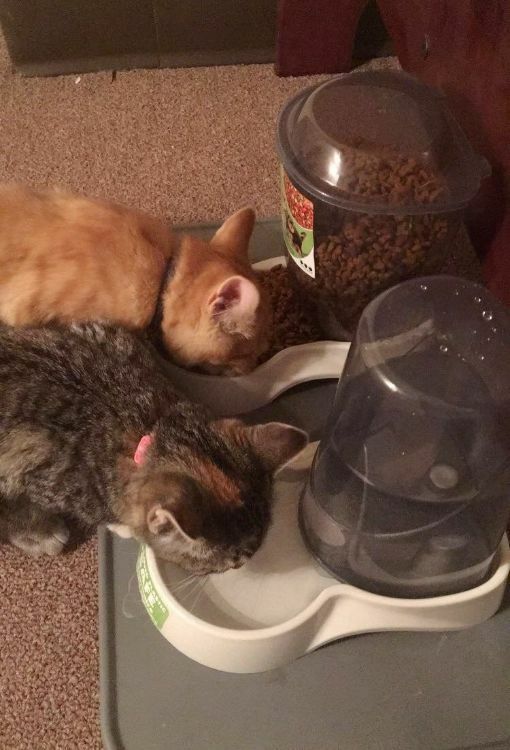 They eat, play and sleep together all the time. They are also very affectionate with their humans. 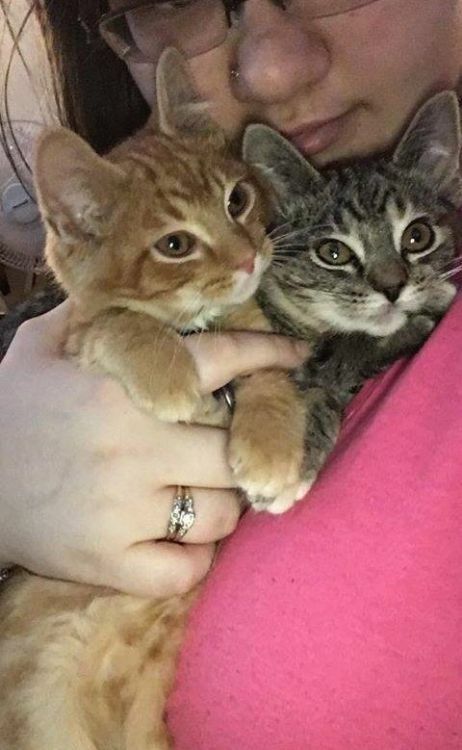 They have found and share their furever home.